Celebrate the Summer Solstice This Weekend! The summer solstice is this Friday, June 21st, which means it’s officially summer. 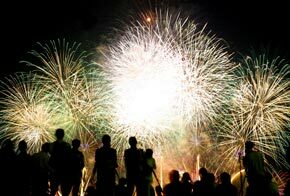 So come on out and celebrate the onset of the summer season at the Tahoe Heart and Solstice Festival! Start the weekend early at the Solstice Stroll Classic Car Show on Thursday, June 20 from 6 to 8pm. Tahoe City’s North Lake Boulevard will fill up with classic and collectible automobiles sure to entice any car fanatic! If you’re already planning a trip to picturesque Lake Tahoe, then we have a feeling that we don’t have to brag about all of the awe inspiring scenery Tahoe has to offer from the lake and the meadows to the forests and the rivers. However, if you’re an adventure seeker looking for an exciting way to witness the landscape, then Tahoe Mountain Guides (TMG) is certainly worth talking about. 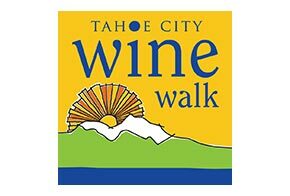 Wine connoisseurs, prepare your palates for the 8th annual Tahoe City Wine Walk. Stroll along North Lake Boulevard for not only some of the best sightseeing spots in town, but also for a taste of the finest wines and gourmet food in the area. This event is a fundraiser for the Tahoe City Downtown Association, which is a non-profit organization made up of local businesses, property owners, associations, professionals, and residents. The goal of the Tahoe City Downtown Association is to promote and cultivate a "prosperous commercial and social center" for locals and guests in Tahoe City. Exploring scenic Lake Tahoe usually means trying to kayak, rock climb, water ski, and bike ride all in one day. Because there are so many different ways of experiencing the Tahoe terrain you may be tempted to pack your schedule full of exciting adventures, but don’t forget to pencil in time for some much needed relaxation! Memorial Day is the unofficial kickoff to summer and the vacation season, as across the country people gather and hold barbecues, eat hot dogs, and start looking forward to the warm months ahead. But why not jumpstart summer vacation early this year with a trip to Tahoe? Moving tributes to our fallen heroes, fun at the lake and a variety of outdoor activities await during the long weekend! Lake Tahoe is known as a mecca for sports enthusiasts and outdoor lovers, and with its varied and gorgeous terrain, it is easy to see why. 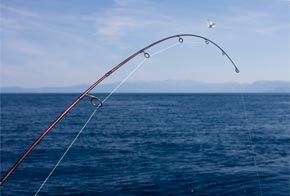 The majestic Sierra Nevada mountains and sparkling blue waters of the lake and its various tributaries mean that a wealth of exciting outdoors activities can take place. 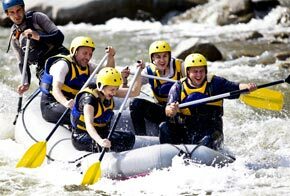 One of the most popular things to do in Tahoe is river rafting, which appeals to thrill seekers and nature lovers alike as one of the most adventurous and exhilarating ways to spend a day in Lake Tahoe. 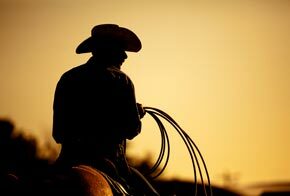 There are tons of fun events happening in Lake Tahoe this weekend, ranging from Cowboy Festivals to concerts. Exclusive money-saving deals are currently being offered on top hotels and tours as well, so definitely plan a Tahoe getaway for the weekend of May 3, 2013! 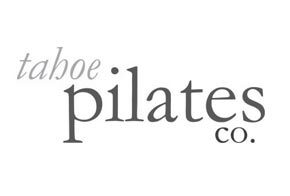 Keep up with your Pilates fitness routine during a vacation to Tahoe, or add a healthy new addition to your lifestyle by visiting the Tahoe Pilates Co.
Lake Tahoe and its picturesque terrain are known for offering virtually every outdoor activity imaginable. Fun and exhilarating activities like skiing, hiking, water sports and more are a wonderful way to spend a vacation or are great hobbies for locals to partake in. However, sometimes these activities can take a toll on your body, with or without realizing it. Tahoe Sports Massage and Bodywork is the perfect complement to these rigorous Lake Tahoe activities, because their massages are more than merely relaxing: they are a step forward in improving your health. 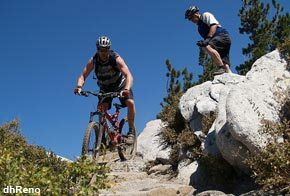 Looking for a way to break up the endless skiing and rugged outdoor activities that a Lake Tahoe vacation usually entails? Longing to indulge in some delicious wine as you gaze at the snow-capped Sierra Nevadas and other beautiful sights of the El Dorado region of California? 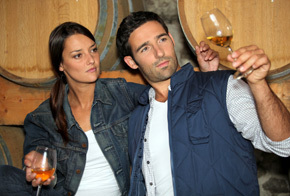 If so, Wine Tours From Tahoe may be a perfect addition to any vacation to the area.